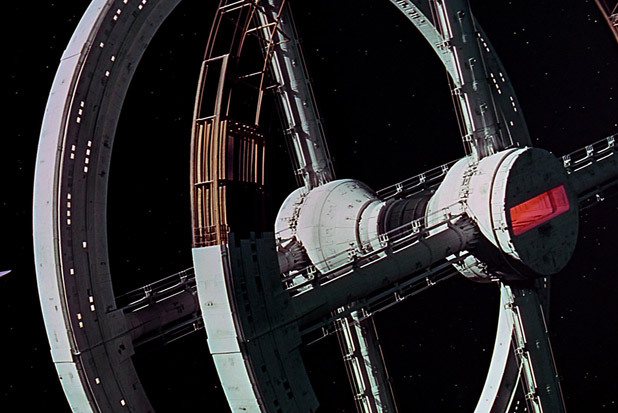 Music Monday gets classy with a review of Sunday’s Shanghai Symphony rendition of 2001: A Space Odyssey and a preview of the incoming Steve Reich and Cameron Carpenter shows. Welp, our dear friend typhoon Chan-hom’s effect on Shanghai turned out to be overhyped and as weak as a Drake live set. But no worries weather bureau, better safe than sorry, plus it’s always nice to see the streets of Shanghai empty. No line at Farine Bakery on a Saturday? Don’t mind if I do. Today I’m happy to switch up my regular shtick by covering three next-level concerts from our local Shanghai Symphony. 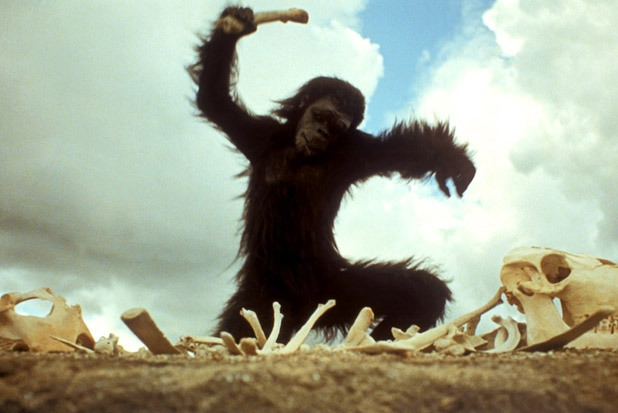 First, a review of last Sunday’s 2001: A Space Odyssey, which just destroyed it. Then we have a preview of incoming legend Steve Reich on Wednesday (sorry but that's sold out now), and Friday's show with organist Cameron Carpenter. Without further ado I present the classiest Music Monday ever. When entering a church I’m usually overwhelmed by a sense that any minute I may burst into flames for a blasphemous life. A similar feeling comes over me when I enter the Shanghai Symphony Hall. Everyone peers with eyes that know I spend my nights in honky tonks or disco dives, having no place among their ranks. Maybe it’s my nervous demeanor or maybe it’s my cut off jeans and Lynyrd Skynyrd tank top; too tough to call. Last Sunday’s concert of 2001: A Space Odyssey was a little bit different. When settling in I noticed the crowd was mostly Chinese, but more casual than your standard night of Bach or Wagner. I thought the performance might be a condensed version of Stanley Kubrick’s 1968 sci-fi classic, with the orchestra playing the score along with film clips in the background. However, after the introduction it became clear that they were showing the entire movie on an IMAX sized screen of glory. From start to finish the performance / showing took over three hours. The full orchestra and choir performed the score while the dialogue remained originally intact. From now on I will never see a movie any other way. I’m supposed to watch Jurassic Park this weekend, but without a 30–piece string section I know it’s going to fall short. This sci-fi classic is already challenging to watch, with the slow pace of the film, minimal dialogue, and straight up long bouts of pure silence. Adding a 60–piece orchestra and choir who only perform for about 20% of the film and stare directly back at you the rest of the time adds another level of awkwardness. The unconventional minimal format lead to many local theatergoers ducking out early, leaving only around 60% of original audience to stay throughout. Many of these were the 20+ people who brought their five year–old kids, which didn’t really mesh well with the extended periods of silence and symphony hall acoustics where you can hear a pin drop. Despite all this, the performance was still one of the most memorable I’ve ever experienced and will remain with me forever. The intro / outro performed beautifully from the Shanghai Orchestra really drove home everything it takes to make an amazing score, and 2001: A Space Odyssey has one of the best of all time. Watching in this format forces you into the contemplative nature of all the science fiction that was inspired by Arthur C. Clarke’s story. Most noticeably, movies like Ghost in the Shell, The Terminator, and The Matrix. Basically, any movie where computers become sentient must pay homage to Clarke. Great job challenging the symphony audience of Shanghai -- keep it up! 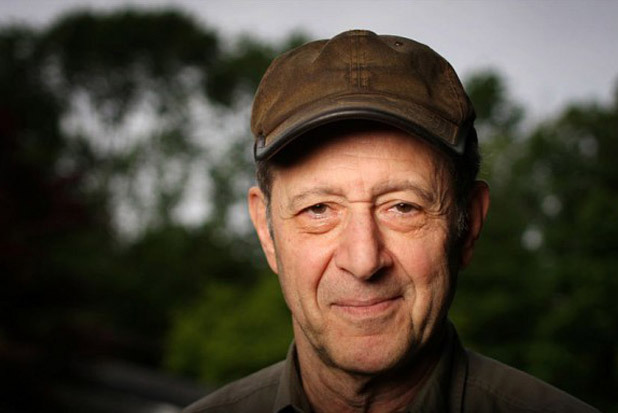 Steve Reich is often called America’s greatest living composer, and at the spry age of 79, Shanghai is very lucky to experience the legend in person Wednesday at the Shanghai Symphony. Brought to you via the MISA project (Music in the Summer Air), directors Long Yu and Charles Dutoit have outdone themselves with this booking. I was first introduced to Steve Reich via the Space Out afternoon listening party, run by SmartShanghai culinary columnist Christopher St. Cavish. Since then I’ve been a huge fan of his minimal compositions and musical theories. Most notably I like his early work that utilized the phasing technique of recorded tapes to help develop a style of experimental music that has remained highly influential over the past 50 years. Not being a huge fan of standard classical music records, St. Cavish’s introduction of Steve Reich by previewing “Octet • Music For A Large Ensemble • Violin Phase” lead me to look into other minimalists such as Terry Riley. Now I’m on the road to becoming a proper salty old man. Some of those influenced by Reich include Sonic Youth, who performed one of his experimental pieces titled “Pendulum Music” back in 1994. It’s impossible to count the number of bands that have been inspired by Reich, but this interview from Pitchfork back in 2006 gives good insight into why his philosophy has remained constant throughout multiple generations. There is a romanticism about Reich that comes in part from traveling the world studying with various musical masters and adapting those lessons to his unique style. An example comes from his 1971 album Drumming, which took influence from a trip to Ghana where he learned from master drummer Gideon Alorwoyie. Then later in the '70s, Reich moved to Israel to study religion, which influenced his '80s work heavily. He continued to work on religious based projects with his video artist wife Beryl Korot throughout the '90s. Wednesday will showcase one of his religious inspired pieces Tehillim from 1981, along with the 1972 work Clapping Music, which was a highly influential experiment in rhythm based on an African bell pattern in 12/8 time. Along with those classics, a more recent piece You Are (Variations) from 2005 will be performed. Unfortunately, tickets on SmartTicket are sold out…and I paid nearly double from a scalper outside for for 2001 gig. A little bonus from St Cavish himself, in prepartion for Wednesday's gig -- the clapping music app! Steve Reich & David Cossin – "Clapping Music"
Steve Reich – "You Are (Variations), Mvt. I"
Wait what is this? Yes another left field booking at the Shanghai Symphony Orchestra Hall. 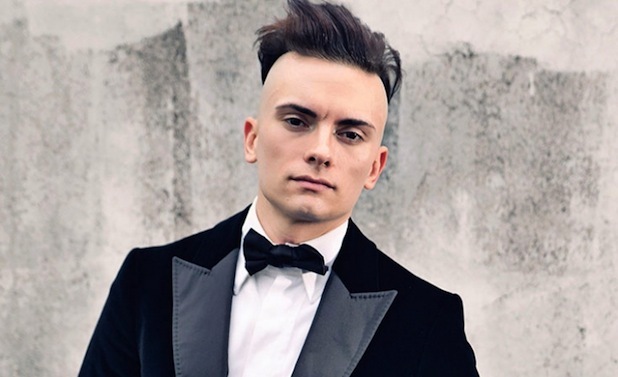 On Friday July 17th the American organ virtuoso Cameron Carpenter comes into town for one night only. This LGBTQ organist has had his fair share of praise and persecution from the press both for his off the wall classical interpretations and his eccentric personal style. Another form of controversy surrounding Carpenter is his promotion of the digital organ which he has helped pioneer through extensive touring. Wearing CBGBs t-shirts and sticking his middle finger up to the classical world? If you are interested in the wild side of Bach and Shostakovich then this show is for you. Tickets for this one are still available on SmartTicket. Cameron Carpenter – "Candide: Overture"